It's sunset, and I'm at the place to be in Granada — the breathtaking San Nicolás viewpoint overlooking the fortress of the Alhambra. Here, at the edge of the city's exotic Moorish quarter, lovers, widows, and tourists jostle for the best view of the hill-capping, floodlit fortress, the last stronghold of the Moorish kingdom in Spain. For more than 700 years, Spain, the most Catholic of countries, lived under Muslim rule, until the Christians retook the land in 1492. 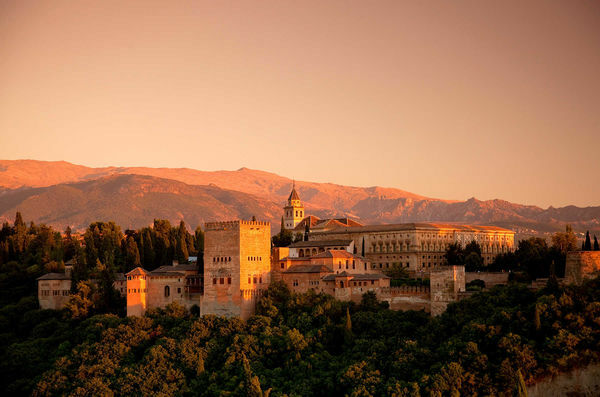 Today, Granada is a delightful mix of both its Muslim and Christian past. It has a Deep South feel — a relaxed vibe that seems typical of once powerful places now past their prime. In the cool of the early evening, the community comes out and celebrates life on stately yet inviting plazas. Dogs wag their tails to the rhythm of modern hippies and street musicians. Granada's dominant attraction, the Alhambra, captures the region's history of conquest and reconquest: its brute Alcazaba fort and tower, the elaborate Palacios Nazaries (where Washington Irving, much later, wrote Tales of the Alhambra), the refined gardens of the Generalife, and Charles V's Palace, a Christian Renaissance heap built in a "So there!" gesture after the Reconquista. It's what conquering civilizations do: build their palace atop their foe's palace. The Alhambra is one of Europe's top sights, but many tourists never get to see it because tickets sell out. 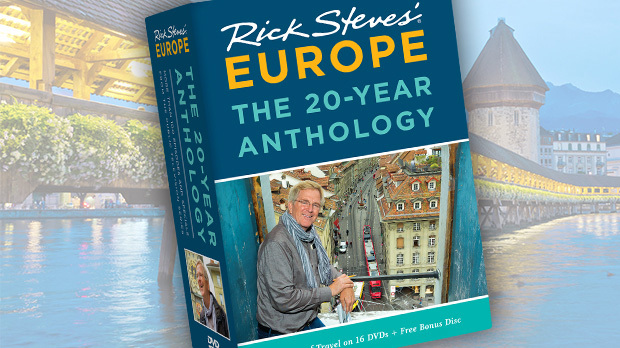 Savvy travelers make an advance reservation. Moorish magnificence blossomed in the Alhambra. Their visual culture was exquisite, artfully combining design and aesthetics. Rooms are decorated from top to bottom with carved wooden ceilings, scalloped stucco, patterned ceramic tiles, filigree windows, and colors galore. And water, water everywhere. So rare and precious in most of the Islamic world, water was the purest symbol of life to the Moors. The Alhambra is decorated with water: standing still, cascading, masking secret conversations, and drip-dropping playfully. Muslims avoid making images of living creatures — that's God's work. But Arabic calligraphy, mostly poems and verses of praise from the Qur'an, is everywhere. One phrase — "only God is victorious" — is repeated 9,000 times throughout the Alhambra. 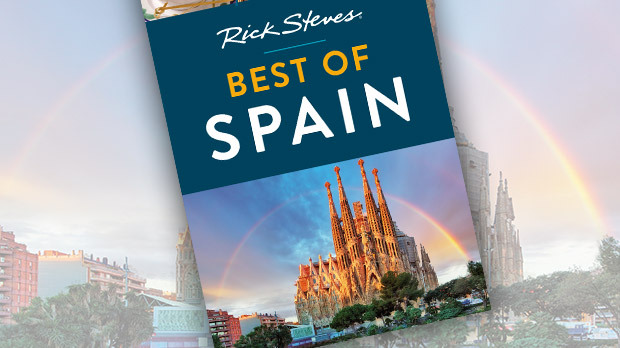 When Christian forces re-established their rule here in 1492, their victory helped provide the foundation for Spain's Golden Age. Within a generation, Spain's king, Charles V, was the most powerful man in the world. The city’s top Christian sight, the Royal Chapel, is the final resting place of Queen Isabella and King Ferdinand, who ruled during the final reconquest. When these two married, they combined their huge kingdoms of Castile and Aragon, founding what became modern Spain. And with this powerful new realm, Spanish royalty were able to finance many great explorers. It was in Granada that Columbus pitched his idea to Isabel and Ferdinand to finance a sea voyage to the "Orient." Granada's former market, the Alcaicería, is near the chapel and was once filled with precious goods — salt, silver, spices, and silk. Protected within 10 fortified gates, it’s a tourist trap today, but this colorful mesh of shopping lanes and overpriced trinkets is still fun to explore. The city’s old Moorish quarter, the hilly Albayzín, has cozy teahouses, flowery patios, and labyrinthine alleys where you can feel the Arab heritage that permeates so much of the region. There are about 700,000 Muslims in Spain today, and that includes nearly 10 percent of Granada's residents. But Moors aren’t the only culture that has left its mark here. Granada is home to about 50,000 Roma people ("Gypsies"). You’ll see some Roma women wandering the streets shoving sprigs of rosemary at tourists — don't make eye contact or accept a twig, or they’ll pester you for €5 for a "tip." 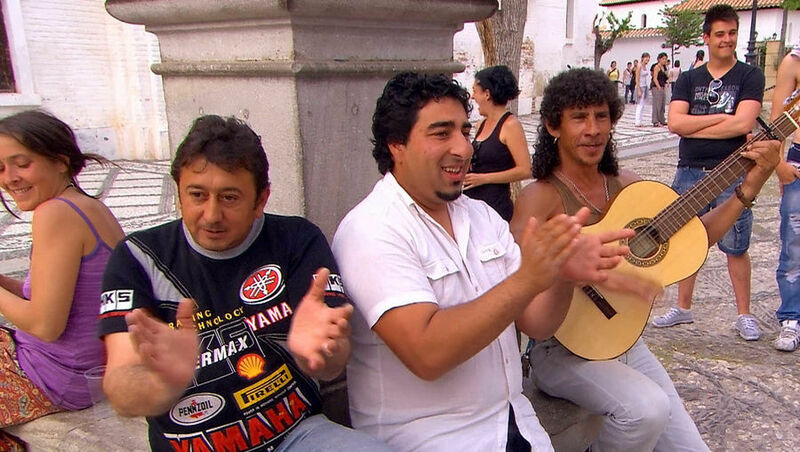 Roma musicians offer lively evening shows in the hilly Sacromonte district, entertaining tourists with guitar strumming and zambra dancing, similar to flamenco. These intimate concerts are performed in the very caves that originally housed Granada's Roma community. There is an old saying: "Give him a coin, woman, for there is nothing worse in this life than to be blind in Granada." This city has much to see, yet it reveals itself in unpredictable ways. It takes a poet to sort through and assemble the jumbled shards of Granada. Peer through the intricate lattice of a Moorish window. Hear water burbling unseen among the maze of hedges at the Generalife gardens. Listen to a flute trilling deep in the swirl of alleys around the cathedral. Don’t be blind in Granada — open all your senses.